The subject of buprenorphine — a drug that’s used to wean addicts off heroin — came up during a recent candidate debate in Burlington. The moderator asked all five Democrats running for governor how they would address its increasing presence in Vermont. “Bupe” has become the most abused drug in the prison population and one of the most frequently sold on the street. When it was Senator Doug Racine’s turn to answer, he didn’t dance around the question or veer off into a canned stump speech. He looked straight at the crowd and said he didn’t know. Politicians are famous for giving nonanswers to questions they think are too controversial, or haven’t thought through. Racine, a Richmond Democrat, can obfuscate with the best of them. But his honest response to the drug query is more typical of the so-called “Quiet Man” who’s been in Vermont politics for the better part of three decades. Even when he does have “the answer,” Racine doesn’t sugarcoat it. He believes Vermonters want real information about the state’s toughest problems, even when it hurts. So he’s sticking his neck out to talk about some of the most politically radioactive topics, such as raising taxes and growing state government. Unlike his four Democratic opponents — Secretary of State Deb Markowitz; former state senator and Google executive Matt Dunne; and state senators Peter Shumlin and Susan Bartlett — Racine is floating new and higher taxes as fixes for solving Vermont’s continuing budget crisis. He says that taxing soft drinks and Internet sales, or even raising the rooms and meals tax by half a point, could help balance the books and avert additional cuts in state services that Vermonters have come to depend on. Racine is a big proponent of the “social safety net” and believes the wealthy should shoulder their fair share of recession-related pain. He understands the risks of that position. Taxes are “evil” in the minds of many voters, he admits, and the mere suggestion of raising them has sunk many a political campaign. His other budget-conscious brainstorm — tapping the state’s $60 million rainy day fund — is politically unpopular, too; the Senate recently shot down Racine’s proposal to use those funds to close the deficit. Racine maintains he’s the only realistic candidate in the running for Vermont’s top job. The solutions his opponents are pitching — growing the economy, controlling health care costs, reining in prison spending — are all good ideas, he says, but won’t balance the budget in the short term. In today’s sound-bite culture, that kind of candor is risky. And Racine has a lot to lose. The latest Rasmussen Reports poll shows him in second place among Democrats in hypothetical matchups against Republican candidate Brian Dubie, the popular lieutenant governor. Racine has also secured coveted endorsements from the state’s three biggest labor organizations — the AFL-CIO, the National Education Association teachers’ union and the Vermont State Employees Association. On Monday, the Vermont League of Conservation Voters gave him the nod. Racine is doing everything he can to avoid a repeat of his last campaign for governor, in 2002, when he lost to Republican Jim Douglas by a margin of 45 to 42 in a three-way race with Con Hogan. In hindsight, Racine says he made the mistake of letting the race become a referendum on Howard Dean and failed to clearly articulate his vision for the state. Racine insists he’s a better candidate this time around — one capable of winning. He has hired Amy Shollenberger, an experienced community organizer, to run his field operation and political strategist Joe Trippi, who made Howard Dean a national star, to repackage him as a fighter. But he doesn’t, always — not even in front of a sympathetic crowd. Speaking to supporters at Burlington’s St. John’s Club in early June, Racine delivered his stump speech with his hands clasping the microphone in prayer position. He never raised his voice or gesticulated aggressively but repeatedly insisted how “excited” he was about the campaign. In a gray suit that matched his full head of hair, he provided a stark contrast to the warm-up act that evening — the singing, dancing drag queens from the House of LeMay, decked out in patriotic red-white-and-blue regalia. There’s no question that Racine has political courage. He was the first candidate to announce he was running for governor, several days before Douglas was sworn in for a fourth term. 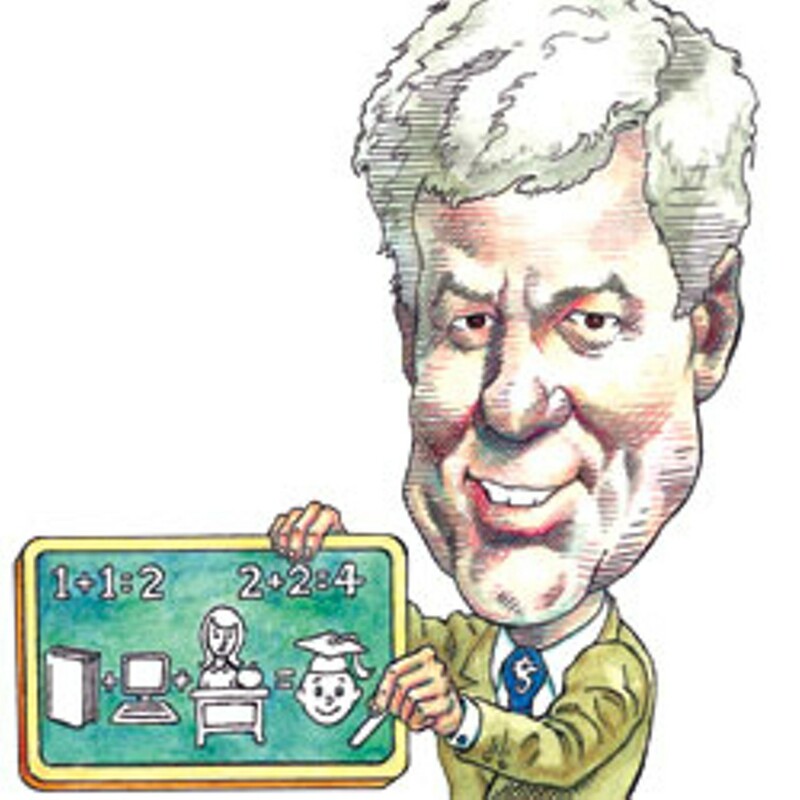 On the issues, the Racine agenda is similar to those of his rivals: He wants to make health care universally accessible to Vermonters; to build new renewable energy systems in the state, including a wood-burning biomass plant; to support local farms and tech companies through state grants and loans; and to make state government friendlier to small businesses. Education has been a main priority for Racine, who served for four years on his local school board. He says he wants to reestablish a cooperative relationship between state government and local educators and to solicit new ideas for improving Vermont schools. He supports consolidating school districts to lower administrative costs but opposes mandating such changes — it should be a local decision, he says. In recognition of Vermont’s hungry and ill-prepared students, Racine says he wants to better integrate social services and classrooms to provide meals programs, after-school activities and early-childhood care for parents who need it. On higher education, he proposes building satellite campuses around the state for better access to the University of Vermont and state college system. Racine calls himself a consensus seeker and an honest broker who would work to stop the “polarization” he sees solidifying in Montpelier. The image of Racine as a trustworthy truth teller is one that Trippi is eager to promote, too. The senator is running on a legislative record that stretches back to Ronald Reagan’s first term in office and includes work on programs aimed at helping at-risk youth, sexual-assault victims and economically stressed families. This year, Racine’s signature achievement was a health care reform plan that’s getting mixed reviews. As originally written, S.88 called for establishing a single-payer health care system in Vermont. In its final version, the bill shelved an actual health plan in favor of studying three different health care models, one of which must be single payer. Racine, who chairs the Senate Health and Welfare Committee, calls it a huge step toward health care reform, but others are less enthusiastic. Dr. Deb Richter, a leading advocate for single-payer health care in Vermont, thinks Racine forfeited a chance to pass an actual single-payer system this year. Richter is endorsing Racine’s rival, Democratic Senator Peter Shumlin, because she’s convinced he’s the only candidate who can get major health care reforms enacted. From Racine’s point of view, a road map to health care reform is real progress — and the only thing that had a prayer of passing this year. Racine was born in Burlington on October 7, 1952. His parents, Willie and Annette Racine, owned a gas station that eventually grew into Willie Racine’s Jeep dealership in South Burlington. Racine was the longtime bookkeeper at the family business and still works there part-time. He is divorced and has no children; his girlfriend of 14 years, Julie Moenter, is a Bristol-based veterinarian. Racine got hooked on politics early on, watching the 1964 Republican and Democratic national conventions on television. In eighth grade, he wrote a book report on Theodore H. White’s The Making of the President 1964. He graduated from Burlington High School in 1970 and from Princeton University in 1974, where he majored in “politics.” After college, Racine worked on Patrick Leahy’s first U.S. Senate campaign and went on to serve as his legislative aide in Washington, D.C.
Racine’s own debut as a lawmaker came in 1982, at the age of 30, when he won a seat in the Vermont Senate representing Chittenden County. Republican Senator Vince Illuzzi describes his slightly younger colleague as a “wide-eyed liberal” and a “stiff” who developed a sense of humor over time. Illuzzi also remembers a fierce fight on the Senate floor that lasted well past midnight. Illuzzi supported a bill permitting gun clubs near residential neighborhoods, while Racine vehemently opposed it. When Congress was getting tougher on work requirements for welfare, Vermont was doing the same, says John McClaughry, a Republican state senator from 1989 to 1992. The Democrat-controlled House passed a bill tightening welfare rules, but Racine “watered down” the get-tough provisions, McClaughry says. One example was a rule requiring welfare recipients to find a job or accept one after 18 months of aid. Racine’s Senate colleagues elected him president pro tem in 1989 and again in 1991, when he presided over a split chamber with 15 Democrats and 15 Republicans. In 1996, he ran for lieutenant governor and won — three times in a row. The last time, in 2000, he beat Brian Dubie, a victory he holds over Democratic rivals Shumlin and Dunne, both of whom lost to the Republican who now wants to be governor. Racine’s winning streak ended in 2002, when he lost to Douglas. He took a four-year hiatus from politics following that defeat, but then returned to the Senate, where he serves as chairman of the Health and Welfare Committee. Will years of experience and deep knowledge of public policy propel Racine to the governor’s office in November? Racine claims he is older and more confident now — more willing to admit he doesn’t have every answer, more comfortable broaching tough topics such as the fairness of our tax system. 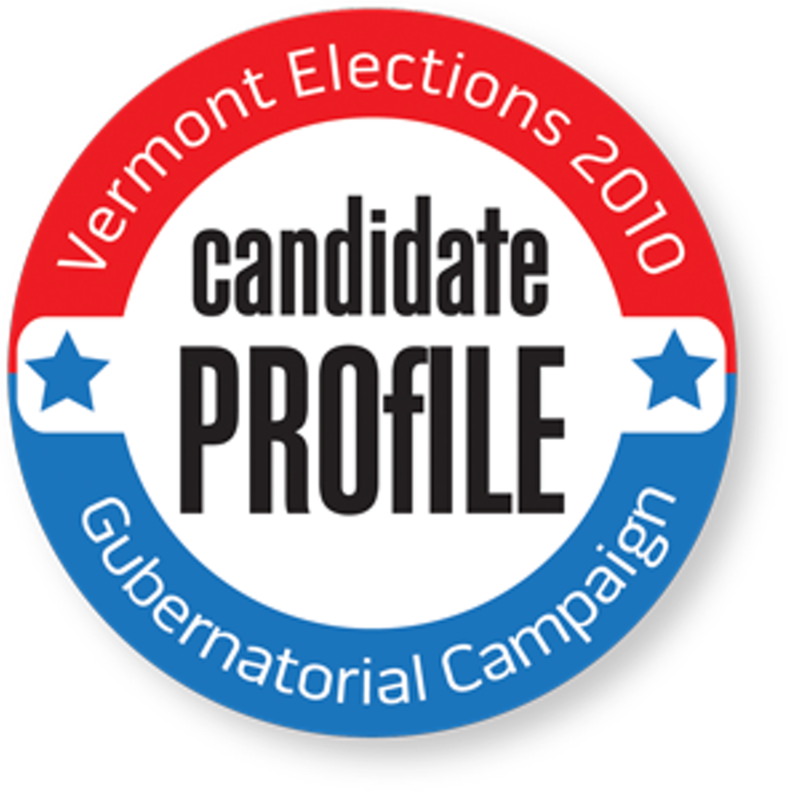 This is the third in a series of profiles by Andy Bromage about the candidates vying to be Vermont's next governor. Click here to read the profiles of the other candidates in the race.